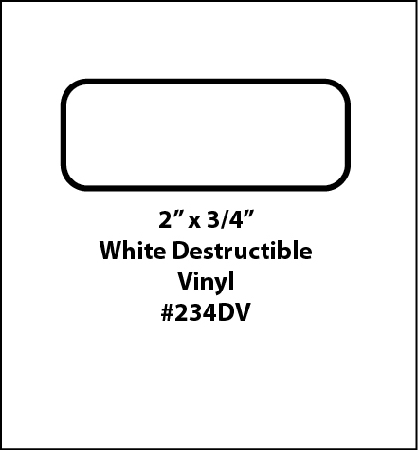 Highly destructible white vinyl face stock shreds when removed, leaving the decal unusable. The waste around the labels is not removed from the roll on these destructible vinyl rolls. Recommended for use on security related applications, such as electronics equipment, auto parts, airplane parts, pharmaceutical products, and health and beauty aids. The label outline is shown for illustration purposes only, labels are blank white.